Ice-Wrap® is a flexible ice-sheet that ensures perishable items remain chilled during shipment; Ice Wrap is ideal for: meats, fish, cheeses, cut flowers and drinks, and is very easy to use – just hydrate a sheet of Ice-Wrap® and freeze before use – it’s that simple! 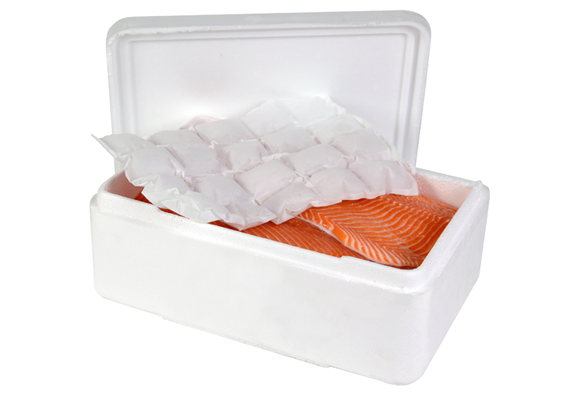 Note – For larger companies, with many different pack sizes, Ice-Wrap® PERFORATED ROLLS offer total flexibility… Simply tear-off the number of cells that fit into your box. We work with many of the world’s leading food companies – so come and work with us ! For help with your Ice Wrap requirements or any other problems that you have, please give us a call on +44 (0)1628 531900.